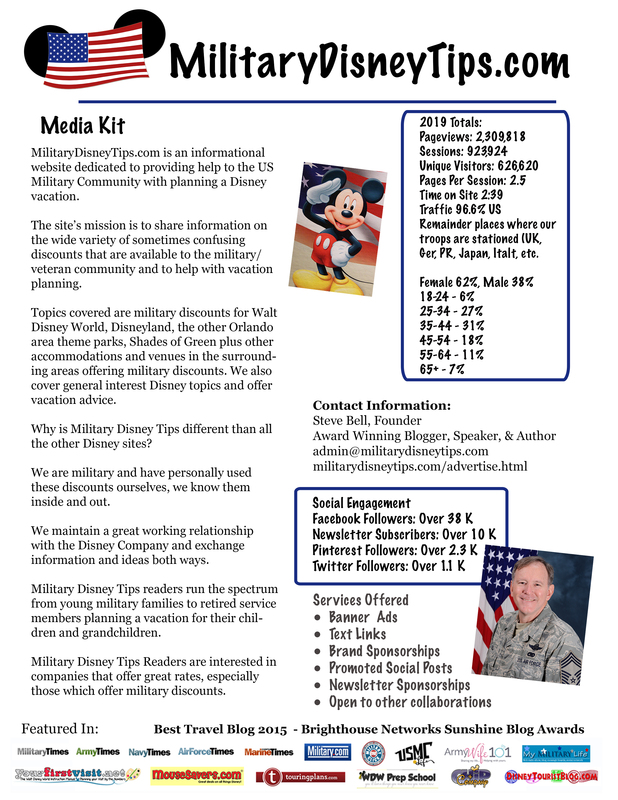 Here is a rundown on the ticket options available for military families planning a Walt Disney World vacation. FastPass Plus is WDW’s new attraction advance reservation system. 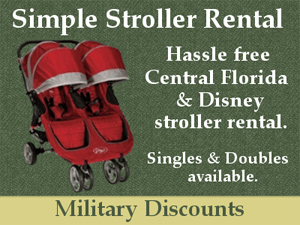 Military families traveling to Walt Disney World have several ticket options available to them for their vacations. When staying at a Disney Resort you’ll need your tickets in hand more than 60 days prior to check in so that you can link them to your My Disney Experience account in time to make your FastPass Plus reservations. Those not staying at a Disney Resort or Shades of Green will need your tickets in hand more than 30 days prior to the desired day so that you can link them to your My Disney Experience account in time to make your FastPass Plus reservations. You can purchase your tickets ahead of time in several ways. You can buy them at your Base Ticket Office, some Offices don’t stock all types of tickets and require lead time to order what you need. Some Bases don’t carry them at all and you’ll need to get them via phone from a Base that will mail them. Shades of Green, Camp Pendleton, and several others will ship your tickets for a fee. Shades of Green Guests also offers a pre-purchase option without shipping for their own guests. 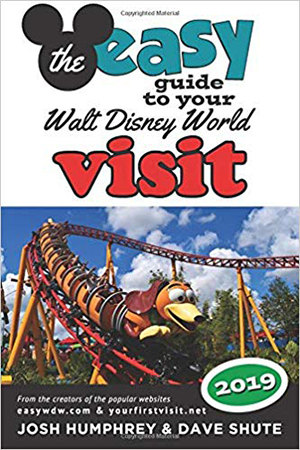 Prior to your stay Shades of Green will email you the details on how to do this and once the transaction is complete they will email you the ticket numbers for linking to your My Disney Experience account. On arrival you’ll be given the physical tickets when you check in. You can use the ticket numbers to link your tickets in your My Disney Experience account. Read about ticket offices that ship. A Special note about Shades of Green’s Stars and Stripes Passes. These length of stay passes may only be purchased from Shades of Green and are ONLY for those staying on property (Shades, Disney Resorts, or the Swan and Dolphin). Selecting the right type of ticket is a decision that is very specific to your family and touring plans. There is no single right answer. See: What’s the Right Military Discounted Disney Ticket for me? Disney World's new Fast Pass Plus (FP+) system and the Magic Bands are great new benefits that are part of the set of new technologies collectively known as Disney Next Gen or My Magic Plus. My Magic Plus - What all this New Disney Technology? I have a question. I am staying at the all star sports hotel and plan to buy the military salute tickets (4 day pass) when we get there. Does this mean we can’t do the fast pass plus reservations because we won’t have the tickets in hand until our vacation? Yes that is correct Penny. Do the Annual Military Disney passes have blackout dates? 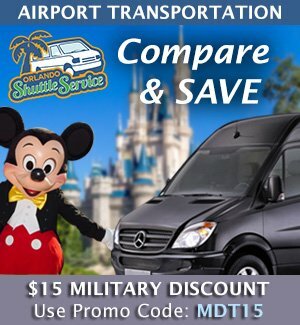 The Disney Armed Forces Salute do, the Regular Military Discounted Magic Your Way tickets do not. We are an active duty family. My husband will be deployed during our visit to Disney World Orlando on Dec 22-26 2015. Due to blackout dates, will our family be eleigible for the 4 day Military Salute tickets? If not, what military discount tickets should I pursue? We have reservations at Shades of Green. the Disney Armed Forces Salute tickets are not valid after the 20th. you’ll want to buy Regular Military Discounted Magic Your Way tickets or Shades of Green’s Stars and Stripes Passes. Hi again Steve. We have our Salute Tickets and have made the Fast Pass links. on My Experience. How does it work when we get to the park. Example. : Our FP time for Aerosmith’s coaster is 9 am. Do we go right to the FP line and they scan our regular ticket , or do we need to do something else? As Always, thank you in advance. Then since your first FP+ is at 9 you can arrive at that attraction between 9 and 10. You’ll go to the fastpass line and scan your tickets individually. So if you want to do something else first you have that hour to use the fastpass. We are going to Disney in March. My dad is military retiree and will purchase tickets at his local base for our group of 6. My parents are not tech saavy. I wasn’t sure if I can put them on my MDE account so I can book our fast passes or does he have to have his own account as he will be the ticket activator? You can add everyone to your account and link all the tickets with no problem! 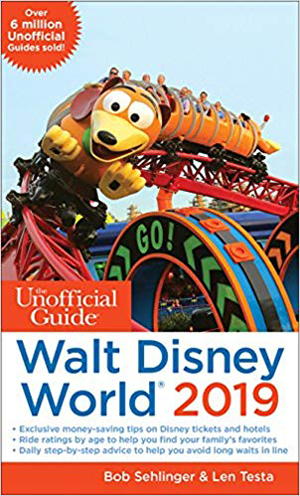 I have already purchased my armed forces salute tickets and want to know if I order magic bands will I be able to link them to my tickets and my Disney experience prior to arriving or will I have to wait until I enter the park to make the link? All of your posts are helpful, Steve! But I do have one question and I feel like it’s a dumb question at that. Can a military ID and/or spousal ID be used if the date has recently expired? I have a feeling that it is not but I just figured I would ask anyways. His ID is current but mine recently expired and I don’t know 100% if he can go with me or not. A better version of this question is do you know if they look for the expiration date on military IDs? Unfortunately an expired ID cannot be used. That would indicate that he was no longer in the military making him (and you) ineligible. Definitely try to get to a base to get a new one! From the way you worded your question I’m assuming he is Guard or Reserve and you don’t live near a base. 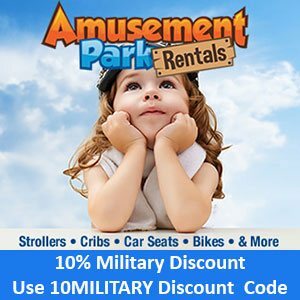 I know as a Canadian Military member, I can get discount on tickets and every thing American Military can… but how to do I buy tickets 60 days in advance this way? Do they have a phone number? If you have been issued a US issued CAC (ID), for instance as the CF members stationed at Tyndall AFB are, you can get the same discounts as US forces as you are working for the US. But without the CAC you would not be eligible. Sorry. 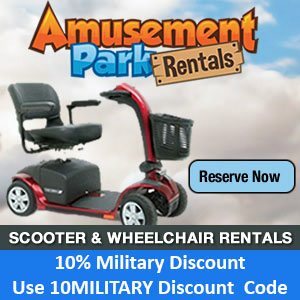 I appreciate the Disney commitment to the Armed Forces but it seems as though there is one category that has “fallen through the cracks” and that is the Disabled Veterans with less than 100% Disability. It would be super if they were somehow acknowledge with discounted prices more than the 4-8%. We have served and given a lot. Maybe even a purple heart discount?